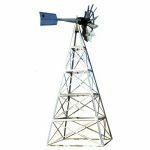 These Windmill Aeration Systems includes Air Stone Diffuser and Foot Valve and 100 Ft of 1/2″ reg. air line. 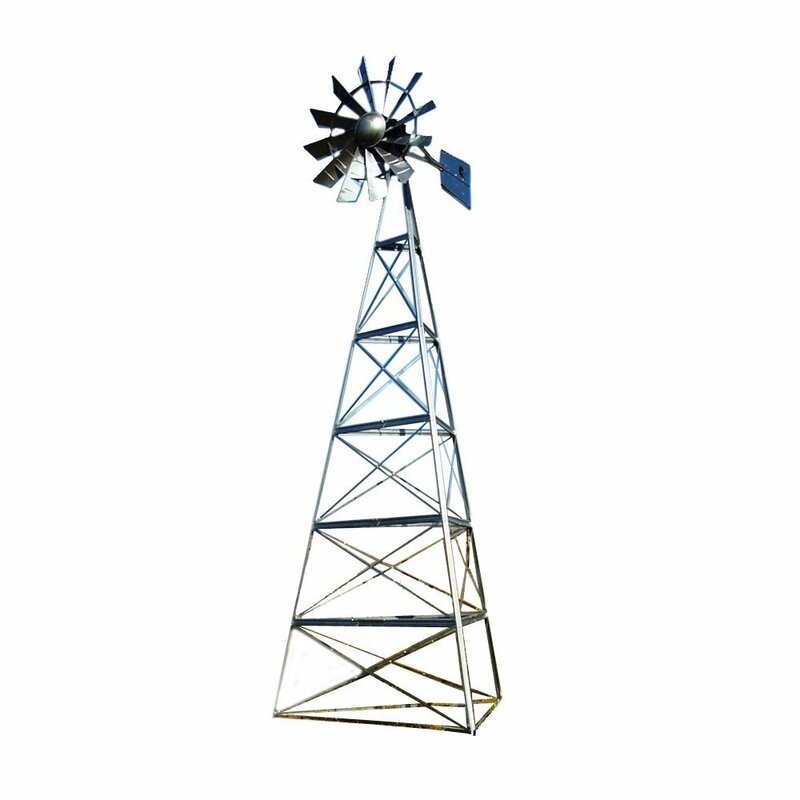 The 12 FT tower is our lowest tower height windmill – works well if you have no trees around. The windmill compressor and head is the same unit for all tower heights. The 16 Ft tower produces approximately 10% more aeration than the 12 FT tower height due to the elevated height of the tower. 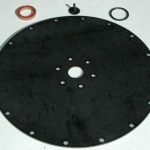 The head diameter measures a full 73″ making this the largest in the industry. The 20 FT tower produces 20% more wind at the elevated height compared to the lower height windmills. 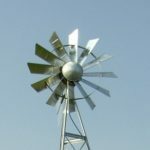 The blade diameter on all units is a full 73″ in diameter which is the largest windmill head on the market for pond aeration. This allows our units to pump up to 4.5 CFM of air and still turn at low wind speeds due to our windmill heads higher torque. We can also produce up to 30 psi of air allowing these units to aerate ponds or lakes that are 10′, 20′ or even 30′ deep. This is one of the TALLEST windmills on the market! Impressive 24′ tower stands over 27 feet tall when fully erected. The blade diameter on all units is a full 73″ in diameter which is the largest windmill head on the market for pond aeration. This allows our units to pump up to 4.5 CFM of air and still turn at low wind speeds due to our windmill heads higher torque. We can also produce up to 30 psi of air allowing these units to aerate ponds or lakes that are 10′, 20′ or even 30′ deep.